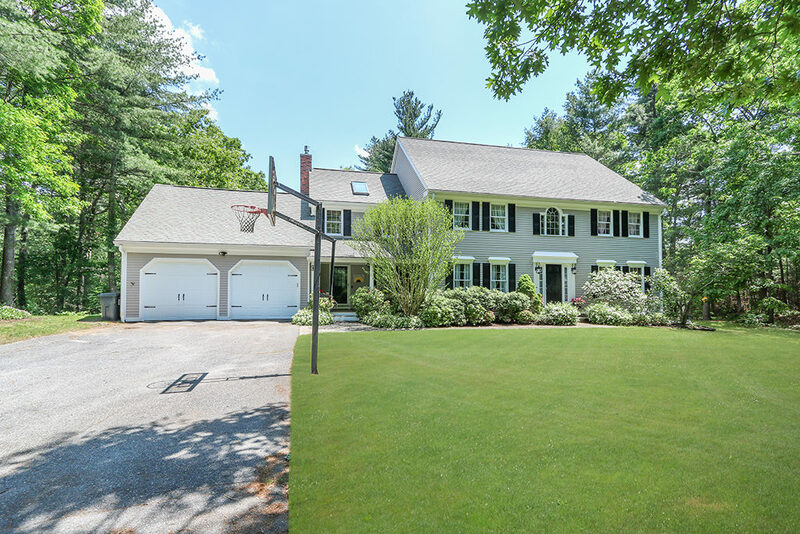 Stunning five bedroom, three and a half bath Colonial located in Overfield Estates, one of Medfield’s most desirable neighborhoods. Enjoy four levels of living space in this updated, picture-perfect home. Beautifully set on a private, professionally landscaped 1.3+ acre lot. Spacious open kitchen/family room is perfect for family gatherings, entertaining or relaxing. The kitchen features every amenity; large center island, upgraded cabinets, open shelving, stainless appliances, quartz counters, high ceilings and custom built-ins. Large formal dining and living room feature crown moldings. Separate 1st floor office and large mudroom with tile floor & cubbies for storage. Second floor includes four large bedrooms, laundry and spacious Master Suite. Finished third level can be a fifth bedroom suite. Home is complete with finished basement with 32′ playroom. Stunning wood plank sunroom with ceiling fan overlooks the private stone patio w/fire pit. View more photographs, take a 3D tour & review floor plans of this listing. Receive more information or schedule a showing.